To be fair, the title of this post should be Shivani and Chris considering it is about their wedding. Except for me, it was the Shivani Show, and what a spectacular show it was! I had heard Indian weddings were an all weekend affair, and today I can confirm that this is a true statement. The beauty of an Indian wedding is in large part due to the numerous traditions and rituals associated with the special celebration. Family and friends come together and participate in many mini-celebrations, each with it's own special significance and meaning. 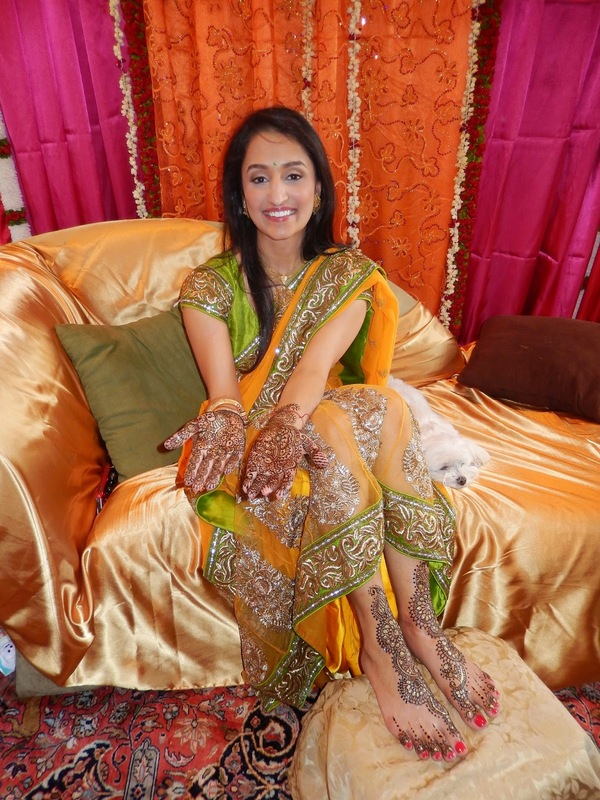 Mehndi is a ritual performed on the eve of the wedding day. 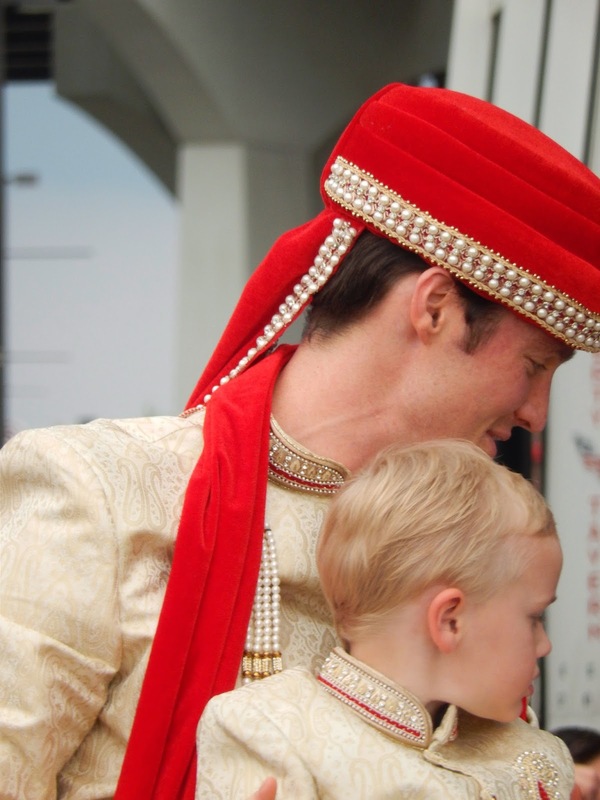 It is anticipated with joy and is one of many charming traditions for an Indian bride. The intricate designs were amazing, and once the artist was finished, Shivani had to let the designs dry for quite some time. Did I mention colorful? 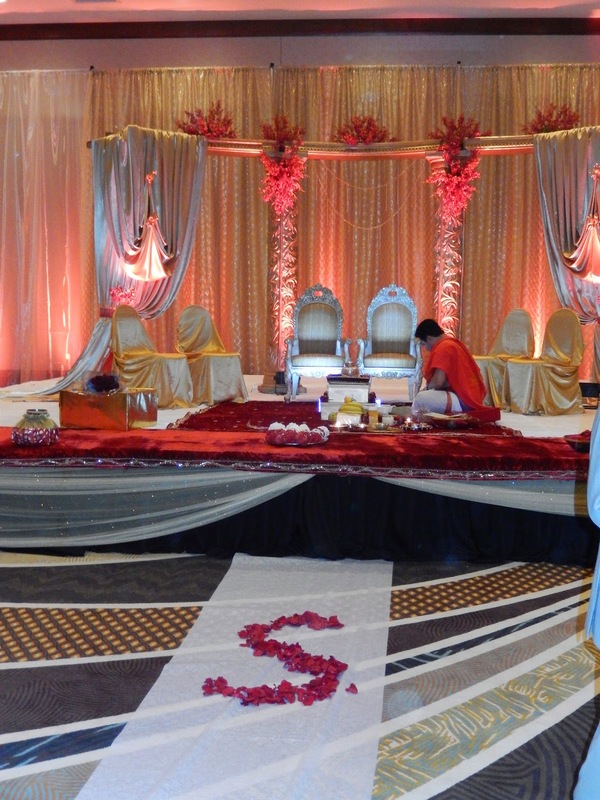 The bright colors used during the wedding celebration seem to ensure it will be a happy and festive occasion. Guests also received henna designs at the Mehndi celebration, as well as homemade chocolates in takeaway boxes and charming bangles to wear to the wedding. Next up, brace yourself for the Baraat. This event establishes the bond between the two families. 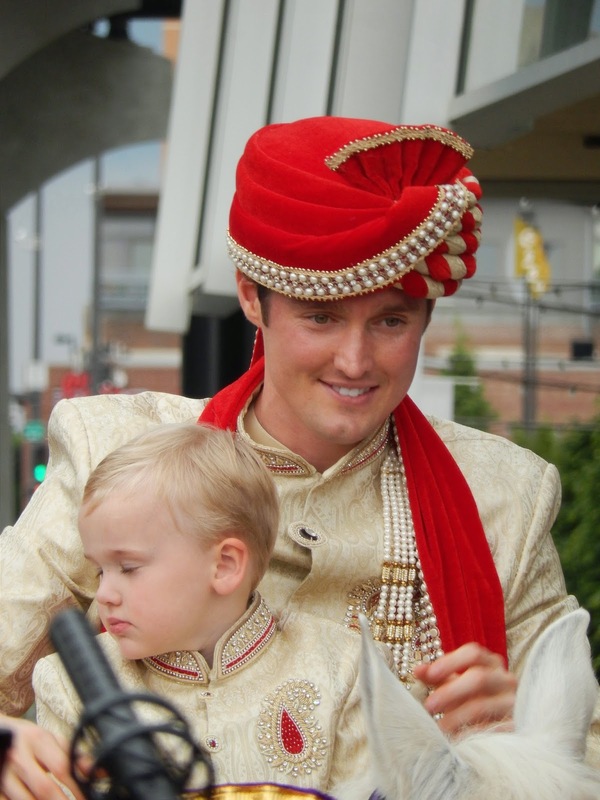 The Baraat represents the arrival of the groom on the day of the wedding at the wedding venue. 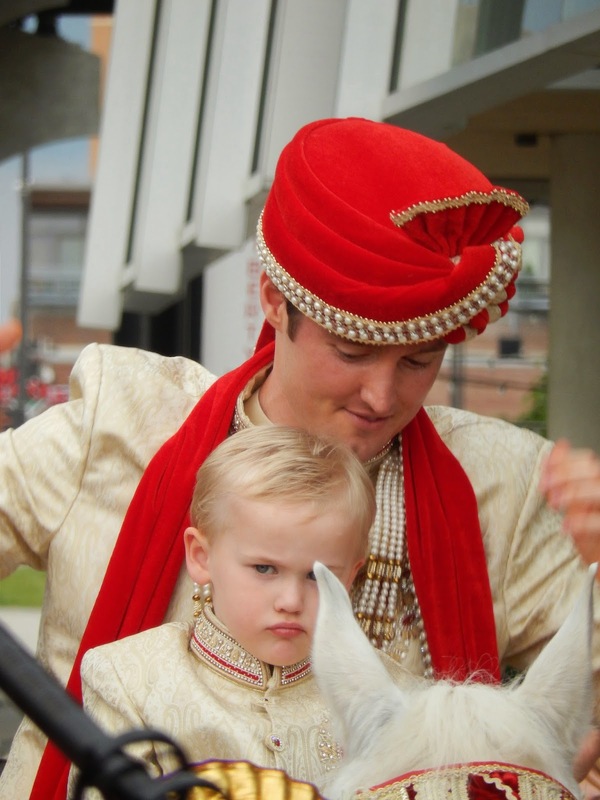 Traditionally, the groom arrives on a decorated horse in a procession including his friends and relatives, the barati. They are welcomed and received by the bride's family. I wasn't sure if the horse would be a reality in downtown Omaha at the Hilton, but rest assured friends, it happened. Complete with a walking DJ playing spirited Indian music. It was basically the most festive thing I've ever experienced in my entire life. Next, the procession moved inside where there was another ceremony consisting of individual members from the bride's family greeting and welcoming family members from the groom's side, which included hugging, cheering and even picking each other up. One thing I can tell you for sure, these people like to have a good time. Finally we were ushered into the room where the actual wedding ceremony would take place. The mandap was very theatrical as would be expected with Shivani. I loved the S for Shivani in rose petals! 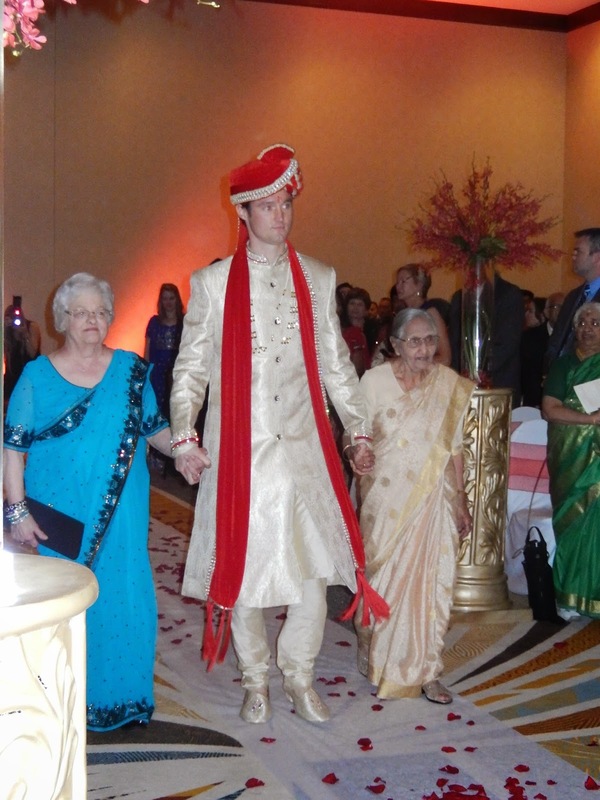 Allow me to interject at this time to inform you of our 2:45pm arrival time for the Baraat. When the groom kisses his bride, the ceremony is almost over and it is almost 6pm. 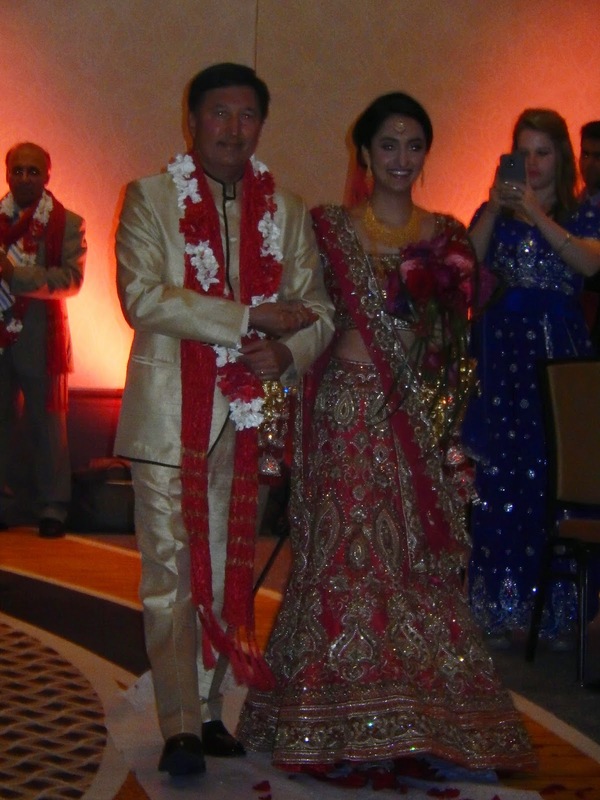 We were later informed that this was a shortened version of an Indian wedding. We were informed while sitting at our dinner table at 10pm. This was an all day event. We were not the first to arrive or the last to leave by any means, and we were there no less than 8 hours. I digress… Back to the kiss! After the kiss, and some serious circling around (seven times) on the mandap, there were lots of delicious appetizers and drinks and mingling, and then the doors were opened to the dinner, or more appropriately dubbed, the entertainment for the evening. 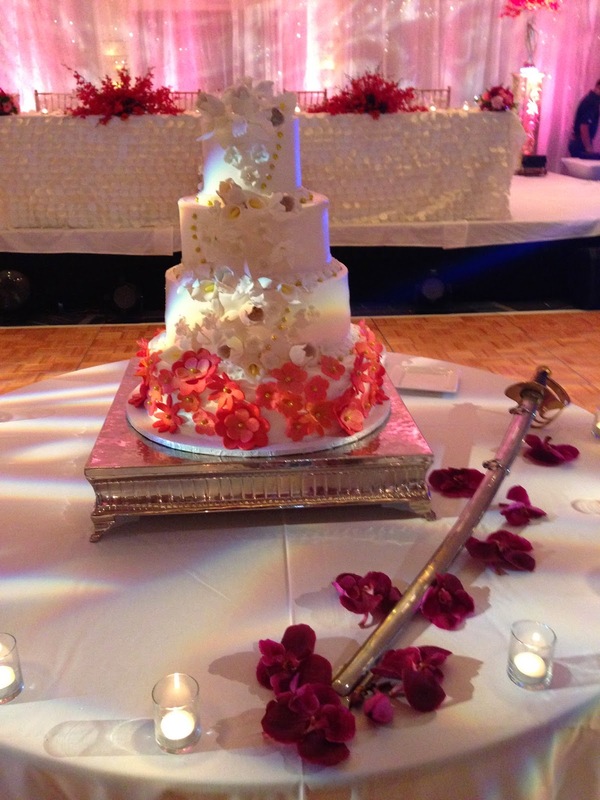 The cake was beautiful, but what was the sword for? We all joked that perhaps they might cut the cake with the sword… ha ha we laughed. And then, they cut the cake with the sword. They fed each other bites of cake on the end of the sword. Straight up. And then there were speeches, and performances, and songs were sung, and dances danced, and it was all overwhelming and beautiful, special and precious. The food was scrumptious and the evening could not have been more enjoyable or entertaining. Wishing you all the very best in your life together! Ha, ha...you are a clever one! :-). 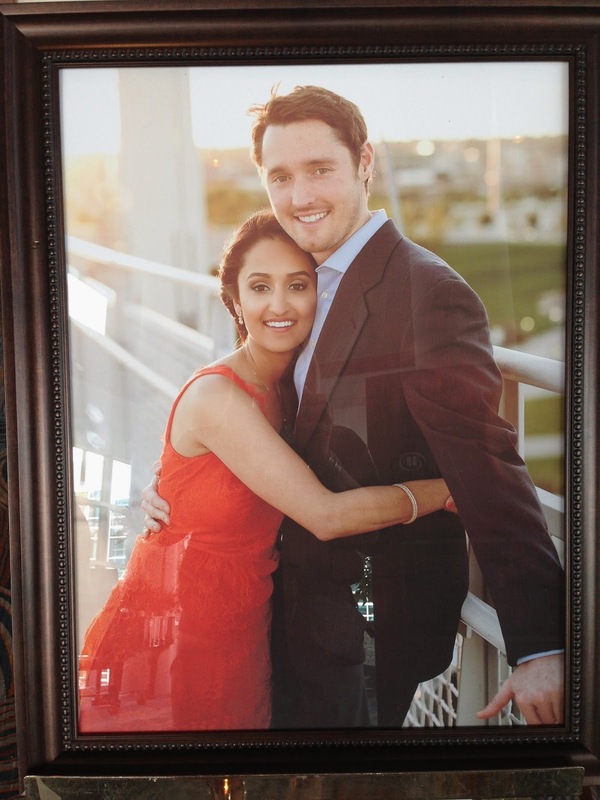 Thank you, and Shevani and Chris, for sharing this beautiful event! I simply loved reading and seeing your amazing photos of this remarkable wedding. Best Wishes to the beautiful Bride and her dashing Husband. This certainly was a day to remember. Thank you for sharing some of it with us. Thank you for entertaining us with that most special and sumptuous wedding. What a stunning couple, she is the most beautiful bride that I have ever seen, and he truly is Prince Charming. What a treat! So incredibly beautiful. Love to create a few watercolors with my vibrant inks to capture this celebration. Wondering what you gave to Shivani and Chris for their wedding. Our neighbors daughter will be getting married soon and we hope we are invited as she is Indian and I can only imagine it will be a spectacular event to attend. They make a beautiful couple...wishing them a lifetime of happiness! Patricia, we gave Shivani a set of MacKenzie-Child's Courtly check canisters... Luckily she was registered and we were thrilled to get her something we both loved! !